Most readers would agree that some books are meant to be read at rapid speed, with the propulsive action spurring the reader through continuing cycles of “just one more chapter” until the exciting conclusion is reached; while others books are intended to immerse the reader in ambience, filling out the backstory with minute details both interesting and mundane, so that one feels part of that world, unable to escape its seductive hold. More rare are those books that can blend these two seemingly dichotomous experiences into one novel. Lars Kepler is so proficient at this, readers are unlikely to realize how much story is packed into one novel because each book reads at roller-coaster thriller pace. 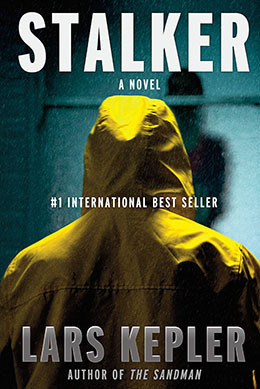 Stalker is the latest in Lars Kepler’s series and while existing fans will certainly enjoy it, this novel also works well for those unfamiliar with the author or series. Lars Kepler is actually a husband and wife writing team out of Sweden and fans of Nordic crime fiction would be hard-pressed to find a series more indicative of what readers love about crime writing from the area. This is a heritage that enjoys writing long books that hook readers with fascinating criminal elements without short-changing the societal causes that exist at the core of all such behavior. In Stalker, the Swedish authorities are being taunted by a serial killer who delights in sending them videos of the intended targets prior to each murder. These videos recount a pattern of stalking and observation that is both chilling and perplexing – mostly because there appears to be no rational to the choice of victims. While Stalker is part of the Joona Linna series, readers will note that he is absent for much of the early investigation this time. This results from actions that occurred in the previous novel, but the author handles the orientation of new readers without trouble. Psychiatrist Erik Maria Bark – who was such an integral part of the success of Lars Kepler’s debut, The Hypnotist – is very much present, however. And it isn’t very long before a decision he made in the past could alter the course of this current inquiry. The characters, whether old or new, are all fleshed out with unique quirks, personalities, and histories that to such an extent that readers will never be able to choose a favorite. In stark contrast to the length of the books, Lars Kepler loves short chapters. This writing style is one of the main reasons these books are so addictive and compulsively readable. Readers will not want to put Stalker down and when they do, something in mix will continue to call to them until it compels them to return to this thriller. Meanwhile, any hope of figuring out what is going on is virtually impossible, not because the needed clues are absent, but because they are so well hidden. Even once you know you will marvel at the ingenuity of this obfuscation. 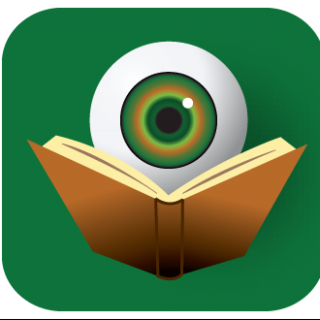 Long story short – do not let the length of Lars Kepler’s Stalker be a deterrent from experiencing one of the most engrossing crime fiction reads of the year so far. Yours is the best kind of review and I love a long book. Thanks. Thank you, LaDonna. I hope that you enjoy the read.